Snow Expected. Total snow accumulations of 3 to 5 inches expected in Southern Connecticut, Interior Southeast New York, and Northeastern New Jersey mainly along and north of interstate 80 from 10 PM Friday Evening to Noon Saturday. Plan on slippery road conditions. 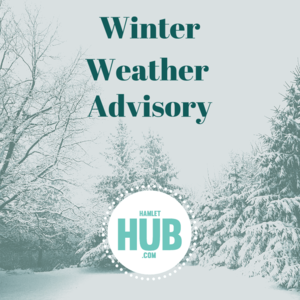 A winter weather advisory for snow means periods of snow will cause primarily travel difficulties. Expect snow covered roads and limited visibilities, and use caution while driving. Check local department of transportation information services for the latest road conditions.